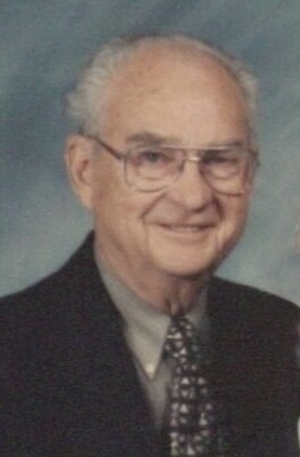 Obituary – Doyle, George Edward III « Perry High School Alumni Association, Inc.
﻿George E. Doyle III, 82, retired Southwest paper Company secretary, treasurer and chief accountant, died Thursday, March 6, 2003. Mr. Doyle was born and reared in Perry. Rosary was held Sunday, March 9, 2003 at Downing and Lahey Mortuary East, and the funeral service was Monday, March 7, 2003, in Wichita, Kansas. Survivors include his wife, Barbara; son and daughter-in-law, George E. Doyle IV and Armella, Wichita, KS; daughter Pat Hommertzheim, also of Wichita; eight grandchildren and 1L great grandchildren. He was preceded in death by a son-in-law, Don Hommertzheim. Memorials have been established with Kansas Society for Crippled Children, 106 West Douglas, Suite 900, Wichita, KS 67202 and Harry Hynes Memorial Hospice, 313 S. Market, Wichita, KS. 67202. George Edward Doyle III served in the U.S. Navy during World War II and was stationed in California. After the war, he and his family settled in Wichita, Kansas where he was an accountant for Southwest Paper Company. When he retired he loved traveling with with his wife to Texas and the southwest during the snow season. He loved making things out of wood- clocks and other assorted things including a dollhouse for his granddaughter. He died in 2003 after a bout with lymphoma that lasted two years. He is buried across the street from the football and basketball stadiums at Wichita State University in Wichita, Kansas. He joked that even in death he’ll be able to keep an eye out on his favorite team- the WSU shockers.